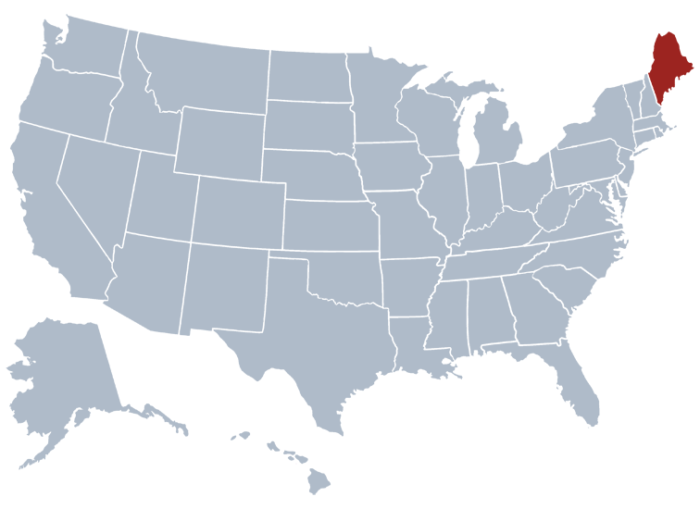 The Secretary of State of Maine serves as the storage for all the files and public information of businesses that are officially licensed in the state. The Bureau of Corporations keeps all the registry information and records data from the following: Business Corporations, Non-Profit Corporations, General Partnerships, Limited Partnerships, Limited Liability Companies, and Cooperatives. 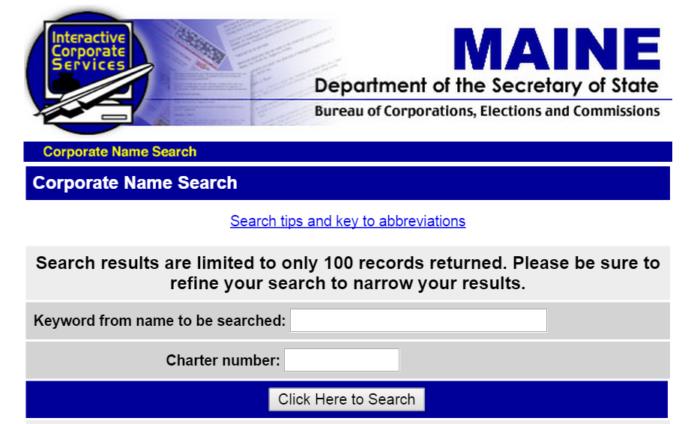 For no charges, you can use the Secretary of State of Maine’s online search tool to look up details of businesses. Registered companies in the state are listed in the registry and you can access information that the Maine Secretary of State normally stores. Secure the Corporate Name or Charter Number of the company as this information is needed. Follow the instructions below to make sure you complete the search fast and without any difficulties. Step 1. Visit the Search Page—click here. Check if you are in the official website. Step 3. Enter an entity name, for example “Reny’s” on the proper field. Another way to search is by entering the Charter number on its respective field. Step 4. To start searching, click the button “Click Here to Search”. The results will contain the entities names in the registry that match with “Renys”. Step 5. If you want to view other details of the business from the Maine Secretary Of State Business Entity Search, click on “Information Summary”, which is found on the side of every result. The information shown on the website are all about the result you clicked on and details like the entity’s legal name, charter number, filing type, status, filing date, expiration date, jurisdiction, registered agent, and other info may be viewed here. The state’s legislature elects the chief. Presently, Matthew Dunlap, a Democrat, is the chief of the office. He had served from January 2005 to 2011 and was sworn in January 2013 for this term. The Secretary of State Maine supervised elections, administers licenses for automobiles, registers businesses within the state, and others. The seal of the state and the archives and public records of businesses are kept by the in the Maine Business Entity Search.